Utilize this concealed carry guide for helpful tips and tactics like getting training, choosing the right gun, holster, ammunition, and much more. If you’ve never carried a concealed weapon before, and are considering it as an option for self-defense, you probably have a myriad of questions on your mind. Get answers to your questions about concealed carry, and learn the basics of carrying a concealed handgun with the Gun Digest’s Shooter’s Guide to Concealed Carry by Jorge Amselle. 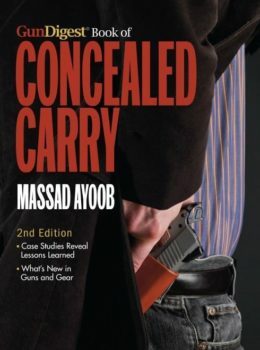 Using easy-to-understand language, helpful images and illustrations, and other advice, this concealed carry guide covers various methods of concealed carry, new handguns, holsters, ammunition, and equipment, concealed carry laws, do-it-yourself at-home training, and tips and tactics for keeping your gun concealed and ready. 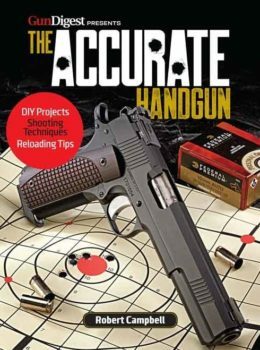 With expert recommendations and real-world experience, you’ll find practical information on choosing the best gun to carry, the differences between and advantages of revolvers and semi-automatic pistols, the types of ammunition you’ll need, where to get proper training, gear and equipment options for men and women, how to keep your gun concealed, and much more. With its simple and clear organization, this concealed carry guide is perfect for any person considering carrying a concealed weapon.